New owners of Outer Reef 630 Motoryacht "PAKIRI" explained that when considering the purchase of a yacht, safety was the priority. With their children and grandchildren in mind, Outer Reef’s robust build and highest caliber of safety standards were a must-have. 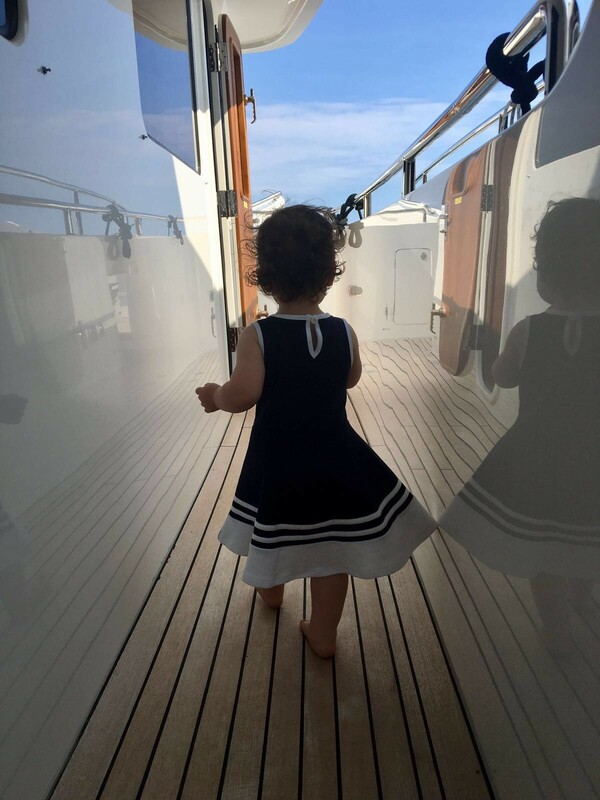 This photo of their grandchild on their new Outer Reef says it all!